Joseph M. Pastore, Jr., Ph.D.
James L. Kaufman has more than thirty five years of experience in social service. Prior to joining Abbott House as CEO in 2013, Mr. Kaufman began his career with Westchester Jewish Community Services as a Psychiatric Social Worker and later, the Clinical Director. After a year with Professional Services Center for the Handicapped as the Assistant Director of MR/DD Services, Mr. Kaufman joined Family Services of Westchester. 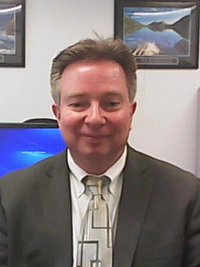 During his tenure at Family Services of Westchester. Mr. Kaufman spent twenty years developing programs directly impacting children, youth and families. He served as Program Director, Senior Program Director, Vice President, and Senior Vice President. Mr. Kaufman serves on the Board of Directors of the Collaborative for Children and Families (CCF) and is co-chair of CCF’s Finance Committee. 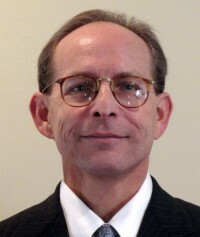 In addition, Mr. Kaufman serves on the Board of Directors of the Council of Family and Child Caring Agencies (COFCCA) and sits on various committees including COFCCA’s Steering Committee and OCFS’s Statewide Implementation Team Committee and Managed Care Task Force. Mr. Kaufman holds Bachelor’s and Master’s degrees in Psychology and Behavioral Medicine Psychology, respectively, from the University of Miami and a Master’s in Social Work from Columbia University. He is a Licensed Clinical Social Worker. Dr. Rodriguez is an accomplished administrator in many fields with a resume that includes work in social services, human resources and healthcare. He has worked in both the profit and not-for-profit realms and brings this wealth of knowledge to Abbott House where he acts as the main administrator for our medical and mental health programs, adolescent group homes, juvenile justice programs, Community Schools Resource Program, and all programs under the Office of Refugee Resettlement. Dr. Rodriguez received his advanced training in Pediatrics and Child/Adult Psychiatry from Harvard University, and his Master’s in Business Administration from the City University of New York. With over 25 years of accounting experience, Gerard Finn blends his in-depth knowledge of nonprofit accounting with an expertise in accounting systems to help the executive team successfully grow each of Abbott House’s programs. His professional history illustrates his innate capability to identify potential problem areas and design solutions to ensure a secure and strong financial foundation. Mr. Finn possesses a strong knowledge of OPWDD funding and rate setting as well as procedural systems. Joining Abbott House in 2010, Mr. Finn is responsible for overseeing all contract funding, reporting, investments, accounts and audits. Justine Christakos joined Abbott House in February 2016 as the Vice President of Programs. She had previously spent the last 22 years working at ARC of Rockland holding various Administrative positions, with her final role being the Associate Executive Director for Day Habilitation Services. In her role as VP of Programs, Ms. Christakos is responsible for the Services for People with Developmental Disabilities (SPDD), Bridges to Health (B2H) and Health Home Programs. She holds a Bachelor of Science degree in Education from St. Thomas Aquinas College and a Master of Social Work degree from New York University. Ms. Christakos is a Licensed Master Social Worker. Lauren Candela-Katz joined the team at Abbott House in 2016 and brings nearly 30 years of experience in her role as Chief Development Officer. Through her passion and drive she is leading the agency in their mission to build lasting foundations for children, families and adults with complex needs. By cultivating strong relationships, and engaging stakeholders, Lauren has created a powerful rebranding of Abbott House that has contributed to the successful growth of philanthropy. She is a Certified Fundraising Executive (CFRE) and a national speaker helping nonprofits achieve their mission. Ms. Candela-Katz founded LCK Consulting in 2013 to help nonprofits strengthen their culture of philanthropy and maximize their organizational effectiveness. Her recent experience includes serving as the VP of Development and Communication for Hudson River Healthcare and the Capital Campaign Director for White Plains Hospital. She is a past board member of AFP Westchester, and past Chair of Westchester's National Philanthropy Day and VP of Education. 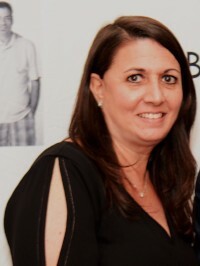 Ms. Candela-Katz is a 2015 Volunteer New York Leadership Westchester graduate and was honored with the 2008 Professional Fundraiser of the Year Award by the Association of Development Officers. 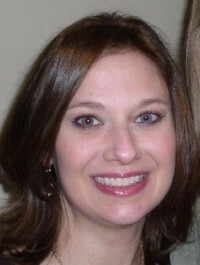 She earned a Master's Degree of Social Work from Yeshiva University and a BA from Ohio State University. 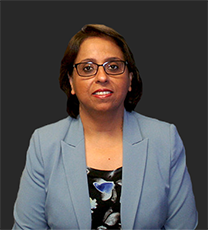 Suraiya Sheikh first came to Abbott House in 2000, when she began her career as an Information Technology (IT) Coordinator. She was later promoted to Assistant Director, Director, and most recently to her current position, Chief Information Officer. Mrs. Sheikh oversees Abbott House's IT and Management Information (MIS) Departments. She possesses an in depth knowledge of various information systems as well as the regulatory compliance on privacy and security mandates related to the agency's funding sources. Mrs. Sheikh is a Microsoft Certified System Engineer (MCSE) and Microsoft Certified System Administrator (MCSA) in addition to holding a Bachelor's Degree in Natural Sciences. Throughout her 18 years at Abbott House, Mrs. Sheikh has played an essential role in the continued successful design and implementation of a secure and reliable network infrastructure across the agency's multiple offices and remote sites. 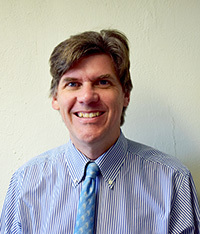 John McGrath joined Abbott House in April of 2018 as the Director of Human Resources. He brings with him 30 years of HR experience in the health care industry in a variety of managerial capacities including work with several large acute care hospitals, prison healthcare, nursing homes, and home care. Mr. McGrath's most recent position prior to Abbott House was the Director of Employee Relations at NYU Winthrop Hospital. In his role as Director of Human Resources at Abbott House, Mr. McGrath is responsible for all aspects of the HR Department. He earned his Bachelor of Arts degree in Speech Communication from Edinboro University of Pennsylvania and a Master's Degree in Labor and Industrial Relations from Michigan State University. 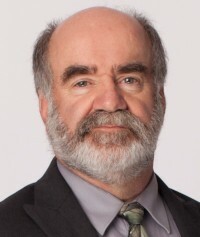 Richard Larson joined Abbott House in 2015. 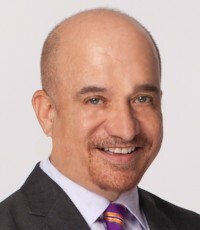 He first began his career at Covenant House working with runaway teens, and has since worked at Legal Aid as a Social Worker, Bronx Works as the Director of HIV/AIDS Services, assisted in the 9/11 relief effort at Catholic Charities New York, and managed the Aftercare Programs at Children's Village. Mr. Larson additionally serves on the Board of Spring Community Partners in Dobbs Ferry, which works to ensure all children in the local schools have equal opportunities regardless of economic means.